May | 2013 | gawa. 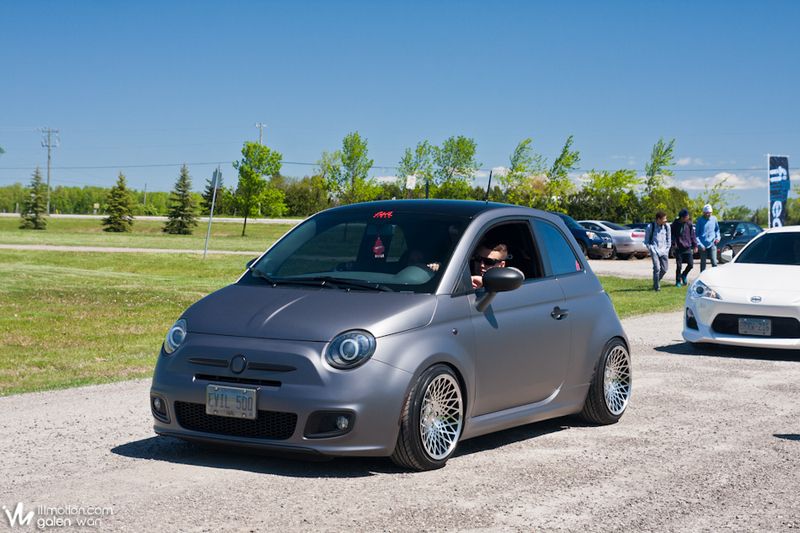 Stretch & Poke hosted their 4th annual Fitted showcase this past weekend at the Brampton Fairgrounds. I had my reservations about driving the car so far (since it’s so broken at the moment), but surprisingly it made it there without too much rubbing or scraping on the 407 and 410. Took a couple shots in the early morning while waiting for DC to come by with his bagged GTI to cruise with me to the larger LEVEL one meet up and drive to the show. The line up started pretty early in the morning, before the show officially opened. Caused numerous headaches for Dave and the rest of the crew no doubt when the cars were stacked two deep, with the line up all the way out onto the street. Kudos to them for getting everyone in. There were a ton of dubs there that day, but overall, good variety to the show I think – which is what I like about the Stretch & Poke shows/meets. 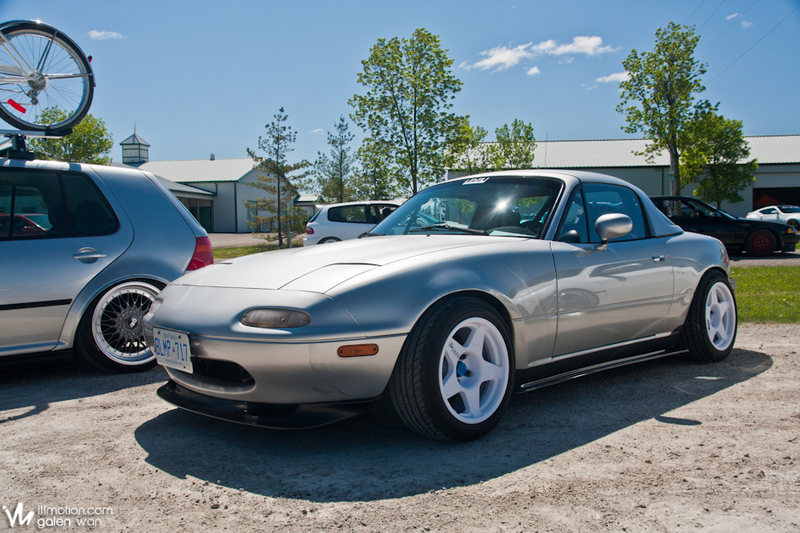 You get to see cars there that wouldn’t be showing at some of the other Import shows in Toronto. 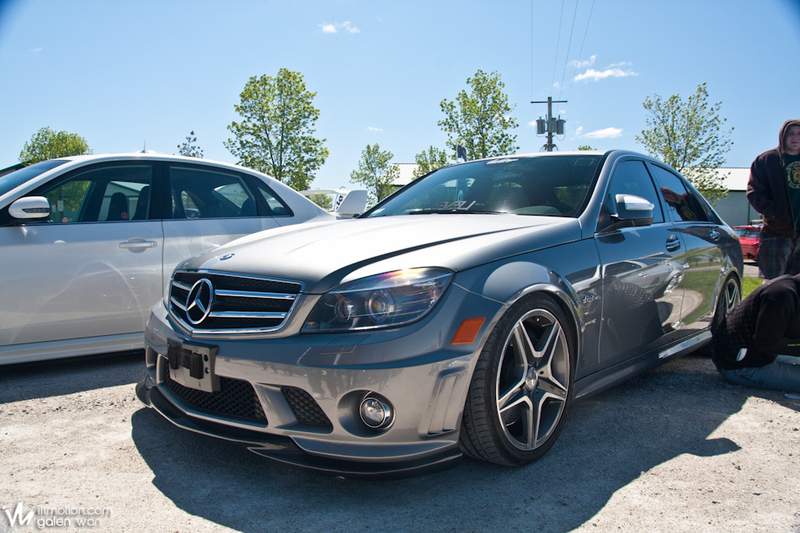 Some of the attendees even drove from Quebec, like the next couple cars (they brought a bunch more tho). Just shows you how big of an event Stretch & Poke has gotten. I remember their second meet was maybe 50-100 cars max. That was like…2-3 years ago. I have a soft spot for the MK4’s… especially Jolfs and JTIs. Dumped cars left and right, bagged vs static. As seen in the following picture, the line up was well down the street to the entrance of the Brampton Fairgrounds. I really liked this next shot… probably my favourite shot of the day. I’m really feeling Justin’s new setup on the Volk SF Winnings. 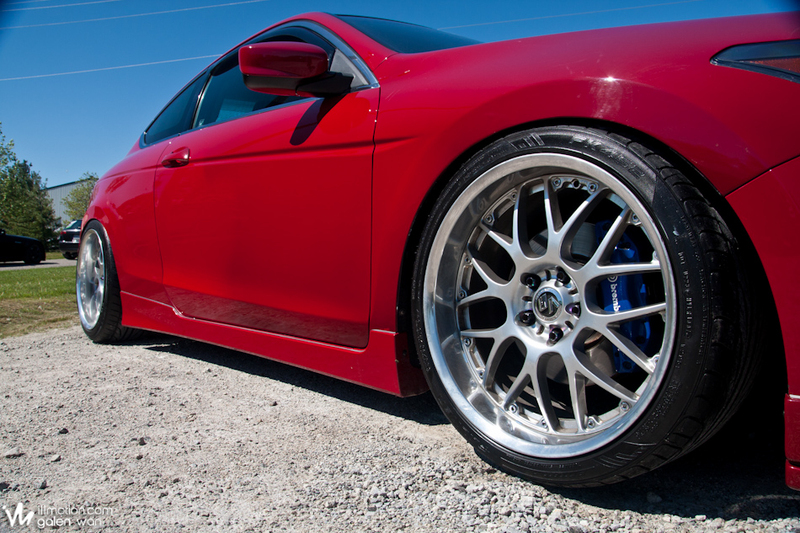 Don’t see those rims too often, and the fitment is nice with a meatier tire. Check the Brembos peaking out behind the spokes too. It turns out a lot of us have turned to mesh rims this year. The colour on Derek’s spectrum silver SSR SP1’s really pops in the bright sunlight. The rest of us were parked inside in the vendor hall. I got placed right beside the RC track, and unfortunately, RC cars were smacking my rear driver side rim all day long. Thankfully, that one is the damaged rim (car squats too much on inclines and the fender scored the lip of the rim), and the RC cars did no damage to it. But still, that wasn’t too pleasant to watch. 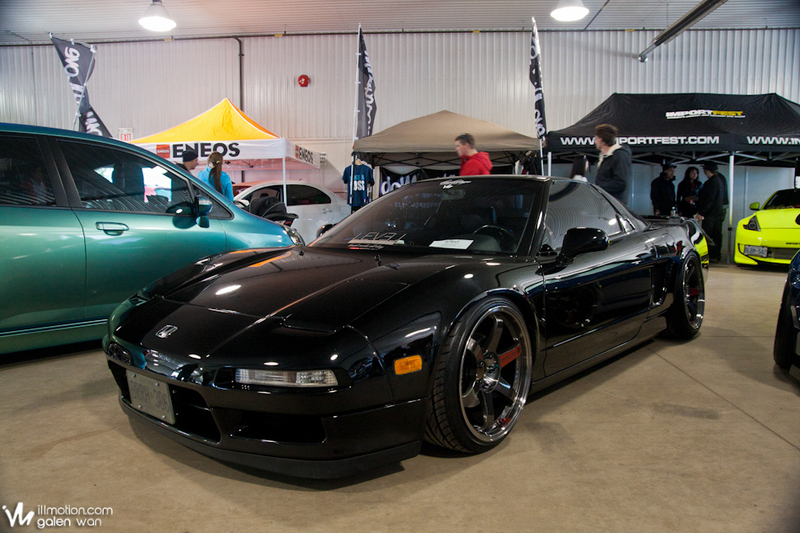 Dan’s NSX was ‘unveiled’ at the show, on a set of TE37SL’s. 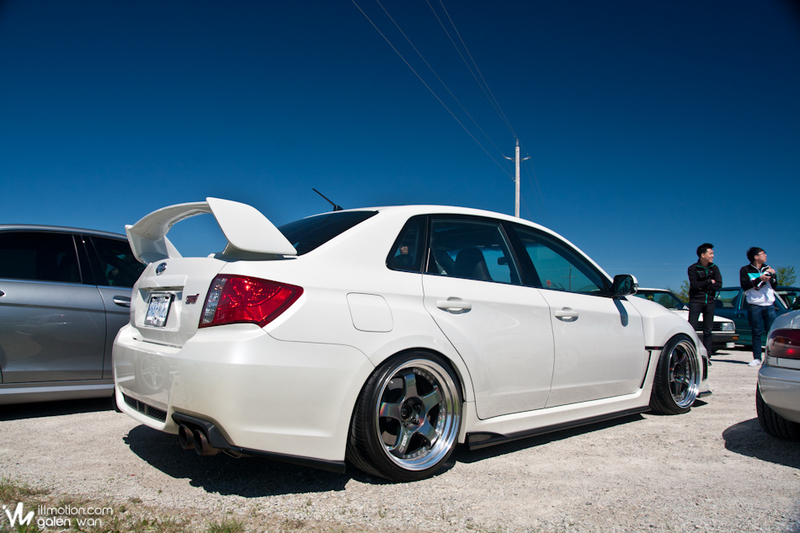 Since then, he’s tweaked the fitment and height a bit more to his liking. Supposedly this is the first ever NSX with concave fronts on a stock body. I have no way of verifying that claim, nor do I intend to, but it looks pretty darn good. 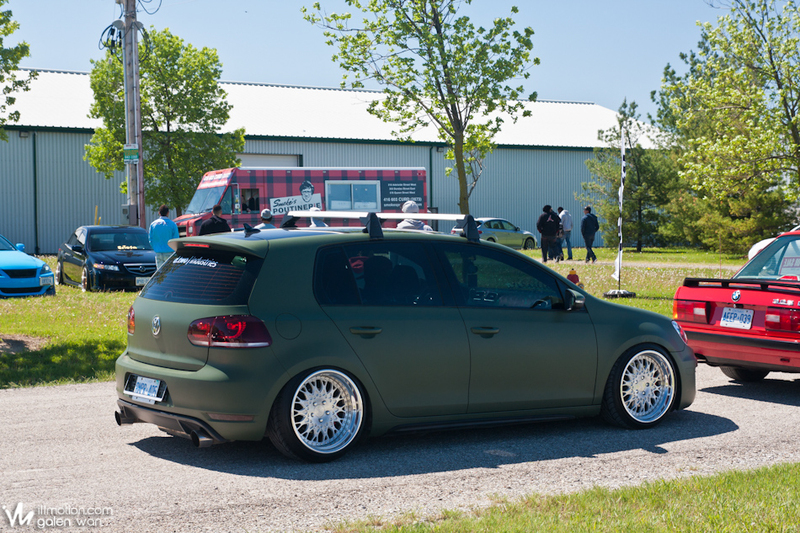 James was posted up beside Dan, also on a set of TE37SL, and his newly painted J’s Racing wide fenders in front. Congrats to him for taking home the 1st place static award! And last, but not least, Steve’s never changing EK with Domani front end. Also, congratulations to him for taking home best engine bay! The main complaint I was hearing about the show was that the parking lot was way too dusty (it was a gravel lot). Cars were being covered in dust within minutes of parking. 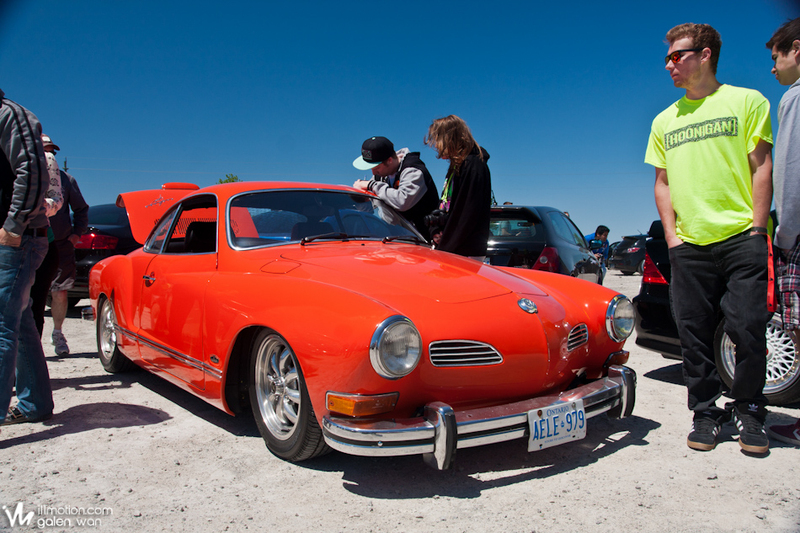 I believe Dave is already looking into another building at Brampton Fairgrounds that supposedly can hold ALL of the cars that were parked in the gravel lot, so Dave’s already on top of things for the next Fitted show/meet! I love how small bits from the VAG parts bin are all interchangeable… picked up a coolant and oil cap from a Porsche 911 (991) and they fit great on my Passat. The coolant and oil cap from an R8 fit as well, though it’s much more expensive than the Porsche ones I purchased. It’s not much but it’s a subtle touch to the very boring engine bay. Various aftermarket intakes for the MK5 R32 also fit the Passat apparently, I’m eye-ing a Gruppe M for the R36 Passat, looks like it’ll fit… but it’s also stupid expensive so I’m not quite sure I want to drop that kinda coin on the daily.